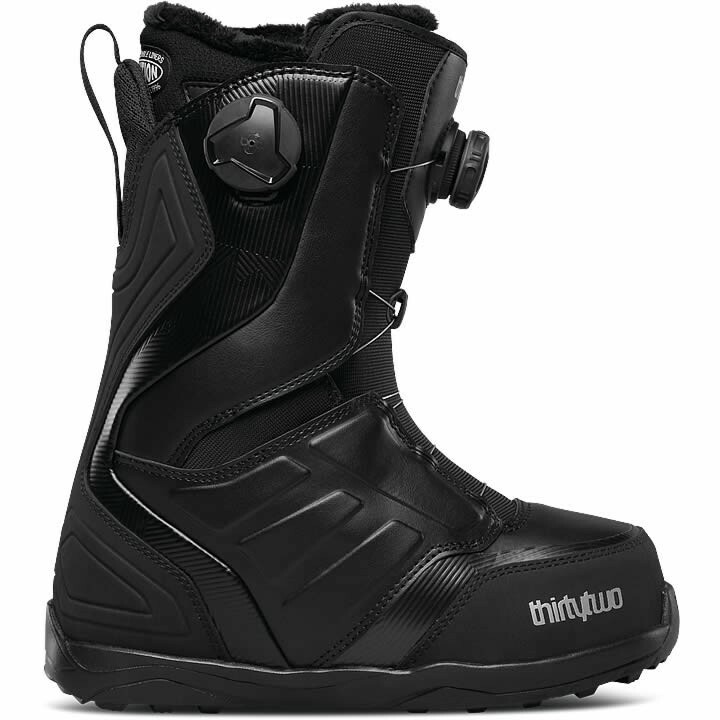 The women's ThirtyTwo Lashed Double BOA Snowboard Boot is everything you've come to expect with the Lashed with the convenience of the Dual BOA Closure System. Combining the Independent Eyestay with zonal BOA tightening for forefoot support and parallel cable pattern for instep and heel lock, makes this mid flexing boot highly responsive. Ease up on the reels for a more forgiving flex for those park days. Heat mold the new Performance Fit liners for a perfect fit and stay warm with the Cozy Cuff. Ride in comfort with the cushy and light Evolution Foam outsole.